In these columns last week, I noted that lacklustre GDP growth in Modi’s first four years boded ill for his re-election chance in 2019, and that he badly needed to accelerate growth in his final year to 8%. That might actually happen. Official data for the first quarter of 2018-19 has just come out, and shows GDP galloping at 8.2%. It remains to be seen if this gallop will be sustained in coming quarters. Yet this gives the BJP reason enough to smile, not just because of good newspaper headlines but because its election prospects have improved a bit. In the middle of Modi’s term, GDP fell for five consecutive quarters, down to just 5.7% in the first quarter of 2017-18. Demonetisation and the initial glitches of the new Goods and Services Tax caused the slowdown. The opposition castigated Modi for economic decline. But after that, GDP has accelerated steadily in the next four quarters. Clearly, GDP took a hit of maybe 1% because of bungled demonetisation, but is recovering steadily since then. Can recovery be sustained at this high level? That will be difficult. Growing fast from the low base of the five declining quarters was easy. But from now on, the base will be rising. The IMF projects GDP growth of no more than 7.3% for the financial year. If Modi can actually do 8%, it will be a major feat. The detailed breakdown of GDP growth reveals some encouraging trends. In the previous quarter, growth was high mainly because of an unsustainable government consumption spree of 16.9%, while private consumption grew by a modest 6.7%. However, the latest quarter shows government consumption growth at a modest 7.6%, while private consumption is up 8.6%. This looks much more sustainable. Investment has been slack in most of Modi’s term. In many quarters, the production of capital goods has declined instead of rising. That in turn has been one reason for falling GDP growth. But here too the latest trends are positive. Growth of gross fixed capital formation was 10% in the latest quarter, after hitting 14.4% and 9.1% in the previous two quarters. So fixed investment, which earlier dragged GDP down, is now helping push it up. Exports have been stagnant or down in Modi’s term. The peak export level of $312 billion in 2013-14 has not been reached again. Here too the latest quarter’s data give reason for hope. Exports are up 12.7%, against 3.6% and 6.7% in the previous two quarters. After a long time, export growth is actually faster than import growth. Will these hopeful trends be offset by other factors? Very possibly. 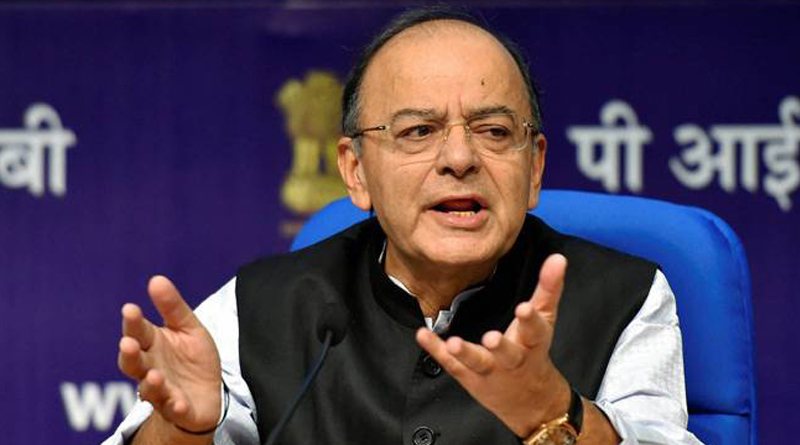 Finance minister Arun Jaitley has often boasted, with reason, that he has improved macroeconomic stability, reducing the fiscal deficit, inflation and the current account deficit. However, he now faces headwinds on all three. Shortfalls in GST collections and disinvestment threaten his fiscal deficit target. Inflation has been rising, prompting the RBI to tighten interest rates. In addition, the current account deficit is projected to grow from 1.9% of GDP last year to 2.6% of GDP this year. Global factors are mixed, but mostly negative. Strong GDP growth in the US is a positive factor. But “trade wars” sparked by US president Donald Trump threaten world trade and growth. He is at war simultaneously with China, Russia, the European Union and his NAFTA partners, Canada and Mexico. The phrase “trade war” is however misleading, as the disputes relate to a limited range of exports that constitute a small fraction of the total. But if this drags down global growth by even 0.5%, that will have a disproportionate effect on nations like India. Meanwhile there is a stream of bad news from emerging markets. Turkey is at the centre of a major storm, because of bad economic fundamentals plus major political disputes, and its currency has been crashing month after month. Argentina is in dire straits and has rushed to the IMF for a rescue. So has Pakistan. Venezuela’s GDP keeps crashing even as inflation threatens to touch one million per cent, forcing it to issue a new currency, the Bolivar Soberano, equal to one lakh old bolivars. Russia has been hit by US financial sanctions. Stringent financial sanctions on Iran will follow in November. Both are significant trading partners of India. This accumulation of bad news raises the threat of a full-blown financial panic in emerging markets, as in 2013. If that happens, India’s economic performance, as well as Modi’s election prospects, will be hard hit.